Fur. Pretty much all dogs of different shapes, sizes, and colour have it, with some having long, some having short, some having straight and some having curly coats of fur. For all dogs though, having a nice shiny healthy coat helps in their overall health and wellbeing, plus really healthy fur is so beautiful and luxurious to pat. Below we have 3 tips to help you and your dog achieve ultimate hair goals, or in this case fur goals. Nutrition is a big factor in determining how healthy a dog’s coat will be. Essentially the more nutrient dense your dog’s diet is the healthier your dog will be and in turn, the shinier and healthier their coat will be as well. To accomplish this, find foods that are best for your dog’s breed, size, and age, which can be done by simply reading the labels and contents of your dog’s food. Foods that are high in protein and omega-3 fatty acids are also great in keeping your dogs coat shiny and healthy. It’s important to note that it is best to talk to your vet about the best nutrition and food for your dog as each breed may have different nutritional needs. Grooming is an important step in giving your dog a nice shiny and healthy coat of fur. This can either be done through a professional groomer or even on your own. 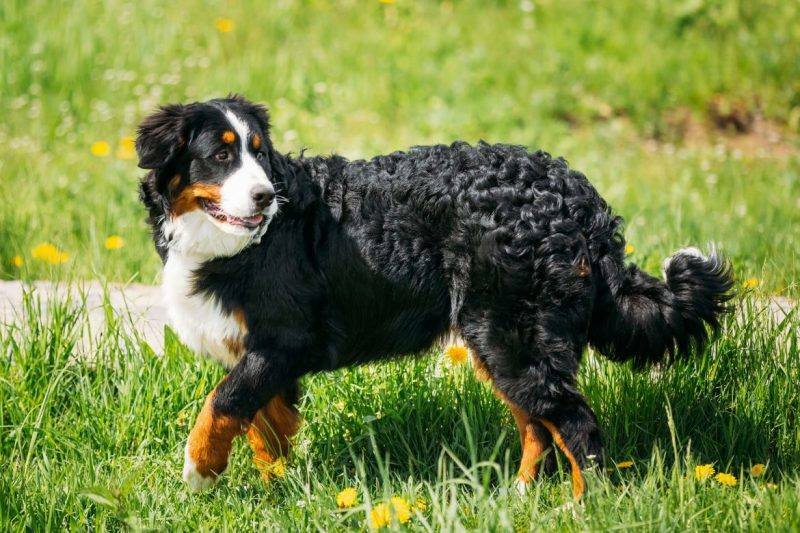 As a guide; long-haired breeds should be brushed twice a week, those with thick undercoats should be brushed once a week, and short-haired breeds need to be brushed frequently to get rid of loose fur. Obviously it’s important to wash and bathe your dog regularly to keep them happy and healthy, however, it is also important not to bathe them too frequently. Washing your dog about once a month is generally enough to help keep their skin and fur healthy. This is because constant bathing can strip your dog’s fur of the essential natural oils that they produce to keep their coats healthy, similar to the advice we are given as humans to not wash our hair too much for the same reason. Did these tips help your pooch get a nice shiny coat? Have you got any other tips and tricks to help dogs maintain a healthy coat? Let us know in the comments! Chewing is an important activity for dogs of all ages as it helps maintain a strong jaw, clean teeth and help relieve teething pain in puppies while also combating boredom. 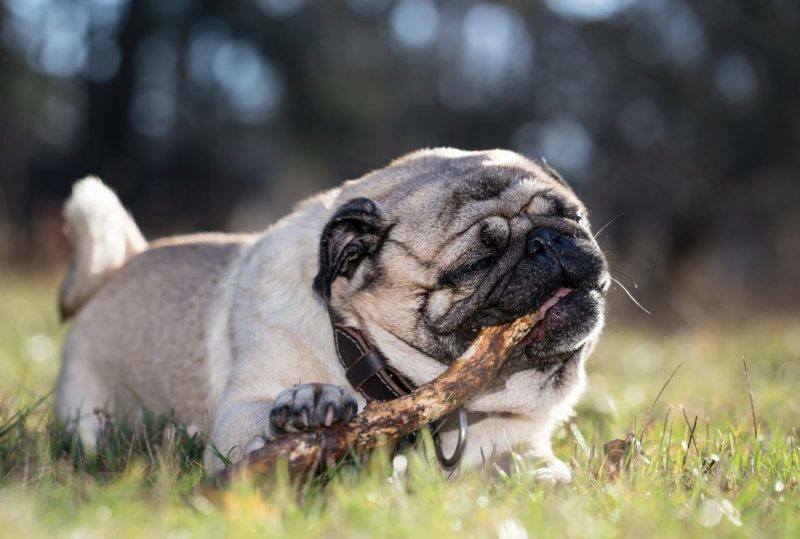 However, excessive chewing can be a sign that your dog is experiencing anxiety and frustration or isn’t mentally or physically stimulated enough. For those of you with a dog who loves to destructively chew, it’s best to minimise exposure to situations that may make your furry-friend feel nervous or upset, as well as ensuring they have plenty of fun games to play and regular exercise. Be sure to keep your valuable objects out of your pup’s reach until you’re confident that they won’t be chewed on. We suggest keeping your shoes and clothes in a closet, dirty laundry in a hamper, and books on shelves. Be sure to take note of the toys that keep your pup chewing for long periods of time and try to limit their access to them. Rotating or introducing new toys every few days will help ensure your pup doesn’t get bored with the same toys which could make them look elsewhere for things to chew! A very important tip to deter destructive chewing is to help your pup learn the difference between what they should and shouldn’t chew. Offer them a great selection of edible chew toys including pig ears or natural chews. However, it’s best to avoid cooked bones as they may splinter and become a choking hazard. As a general rule, don’t resort to giving them unwanted or unused household items like old shoes. This will help your pup learn to distinguish what is and isn’t theirs. Keep them mentally and physically stimulated! Daily walks, off-leash play with other dogs, tug and fetch games is a great way to achieve this. If, however you have a high energy breed, you may require more stimulation so why not sign up for an agility course or alpha dog training to truly engage both you and your pet? If you work long hours or need to leave your dog unattended for a long period of time, why not have a good high-energy play session before you leave them alone! That’s sure to tire them out! Do you have any great tips to share with us? Comment below. When you’re rugging up for the cooler months, don’t forget about your fur babies, too! Generally wind and rain comes hand-in-hand with the cooler weather. Shelters are important for all animals—whether it be dogs, cats, horses, rabbits or birds—to protect them from all of the elements. Blankets and beds are great things to have for your pets. Have animals in a hut? Throw in some material to mix in with the straw. Parrot feeling chilly? Invest in or make a cloth hut to hang from the cage ceiling. It’s also a great idea to air out, rotate or wash the bedding daily or whenever damp or dirty—especially for the dogs that love to spend their days jumping in puddles and playing in the rain! Jackets can be your pet’s very own transportable shelter, which helps ensure they remain dry and warm. Make sure you pay attention to changes in the weather so your pet doesn’t overheat, and keep in mind their natural coats and breed-specific characteristics. Not all breeds of animals require jackets, and, for some, a top-half waterproof jacket would be sufficient just to keep them dry. For those of you who love a fashionable pet outfit, we’ve started spotting the most adorable animals socks and hats—eeeek! If your house gets cold in winter and you’re going out for the day, you could put the heater on low so your indoor cat can still snuggle up to the hot air. All animals have their preferences! If your pet isn’t already in at night, bring them inside to sleep—if possible—as nighttime is when the temperature usually drops even more. A room with floorboards or tiles is generally easiest for you to keep them in, so if they do sneak out of their bed their muddy paw prints can easily be cleaned up. It’s important to keep your pets active in winter to keep their blood and body pumping. Play with them inside, or take them for shorter walks so they can still experience the outdoors. Don’t let the cold weather make you forget about keeping them hydrated on walks. Do we really need to give you another reason to snuggle up with your pets? We thought not! With the Easter Bunny nearly here, you’re probably looking forward to celebrating the holidays with your friends and family and eating all that delicious chocolate. However, it is important not to forget about your pet during the Easter weekend. Chocolate is a huge no-no for any furry creature. If your fur baby eats just a little bit, they’re at great risk of toxic poisoning. But don’t freak out. You can still enjoy your Easter plans and keep your pet healthy and happy at the same time. If you’re hosting a party that involves a good old Easter egg hunt, there are a few things you’ll need to make sure of. When purchasing and hiding the chocolate, it’s a good idea to keep tally of how many you’ve bought and hidden. That way you’ll know if your pet has gobbled one up by mistake. During the hunt, it is also best to keep your pet away from the hunting area. Keep them indoors or in a secluded area if the hunt is inside. Kids will need to be strictly watched over as they’re more likely to leave chocolates lying about, or offer one to your pet. Don’t worry; kids tend to gobble them up straight away. If you’re attending a party and you’re bringing your pooch along, consult with the host about suitable arrangements. Keep a watchful eye on your pup. Dogs tend to eat anything without thinking twice, after all. Chocolate isn’t the only goodie that is toxic to animals, as lollies and sugary foods can cause diabetes in pets. When organising the food for the party, supply them somewhere your pet can’t access. A suitable option for serving food is to give out bowls instead of plates so treats are less likely to fall on the floor. If you’re supplying alcohol, make sure that your pet steers clear of it too. 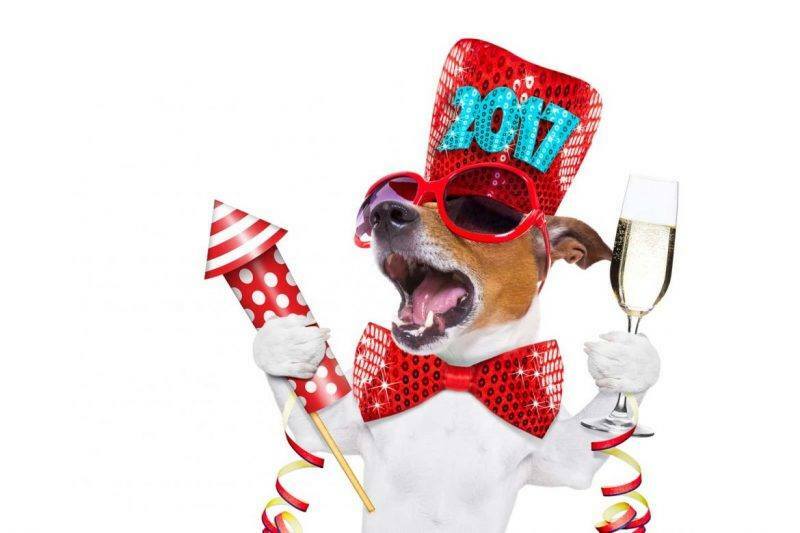 If you have a dog, take them for a walk prior to the party so they’re worn out by the time people arrive. This will make it easier to watch over so they’re less likely to run off and eat something they shouldn’t. When decorating the house, avoid leaving out items that could be a hazard, such as small plastic items or traditional Easter flowers. A fun and safe way you can decorate is to use paper. From origami bunnies to paper grass, paper is less likely to be unsafely digested by pets should they eat it. Just because they can’t eat chocolate doesn’t mean your pet should miss out on some yummy treats! There are plenty of easy-to-follow recipes online for pet-friendly treats. Your pet will be in food heaven when they’re filling their bellies with edible cupcakes, biscuits and ice cream! If you’re no Nigella Lawson, visit one of the many pet friendly cafes around that will supply you with takeaway nibbles. This is a great way for your pet to be distracted while everyone enjoys their chocolate. No living creature shall be left unfed this Easter season! If your pet does happen to eat some chocolate, the first thing to do is to stay calm. When your pet eats chocolate, it is not immediately noticeable. If you think your pet is acting strange or distressed, call your local emergency vet straight away. Follow their advice and take your pet down there if need be. It is also advisable to know your pet’s breed, age and weight so your vet can give you the best advice possible. 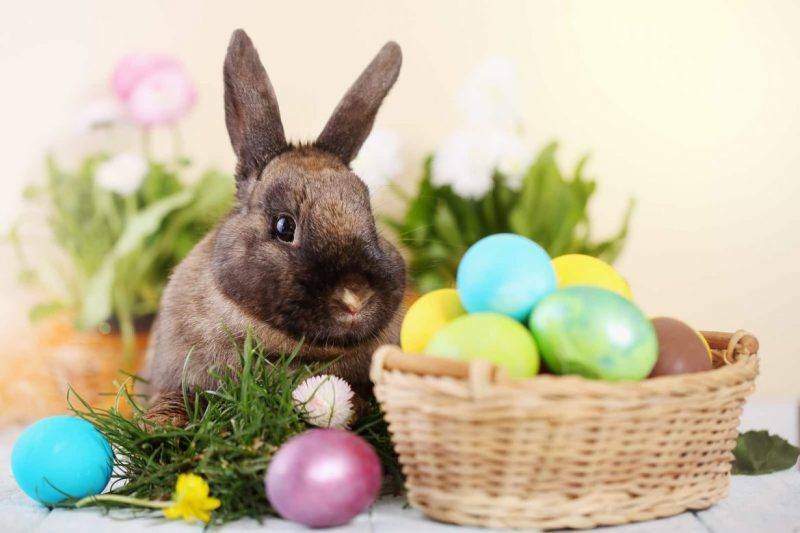 You and your pet shouldn’t have to miss out on all the Easter festivities with our tips. And yes, it is still okay for your pooch to wear some Easter bunny ears. Have your phone ready for some cute Instagram photos! What tips do you have for keeping your pet safe during Easter? Comment below. Getting your puppy used to people and other dogs can be a delicate but important process. It’s vital to teach them to play well with other dogs, handle new places and react to new people and other pets in a friendly and easy-going way. Pups who don’t develop good social skills can become fearful and sometimes aggressive. To avoid that, here are some tips to help you prepare your furry friend for the world! As well as teaching your puppy good behaviour habits, most schools will spend some time on socialising. Professional trainers can help you with any concerns you may have for you and your pup along with teaching you the power of body language! You both may make a few great friends along the way – bonus! Introduce your furry friends to as many different types of people as you can. Taking them to a market or to a café gives them an opportunity to observe and become comfortable around other people. Getting your friends to hang out with your adorable pup isn’t difficult. If you know somebody with a dog, why not set-up a little play date?! Trust is vital so find a playmate you know is friendly and patient. 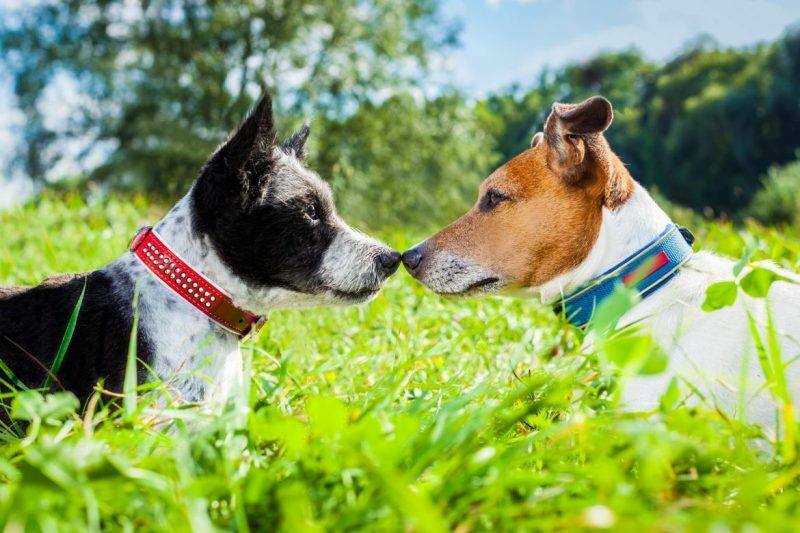 Dog parks are a good way of introducing your pet to other dogs of all shapes and sizes. It’s important to set a good example for your pup and greet other dogs warmly. Start by introducing your pup to dogs of a similar size and if in doubt, keep them on the lead in case they get too scared or aggressive so you can easily walk them away. A good way to encourage good socialising behaviour is to reward your little fluffy friend when they do something well. Have a few treats handy for when you go for a walk or visit your friends and they behave in a friendly and sociable way. 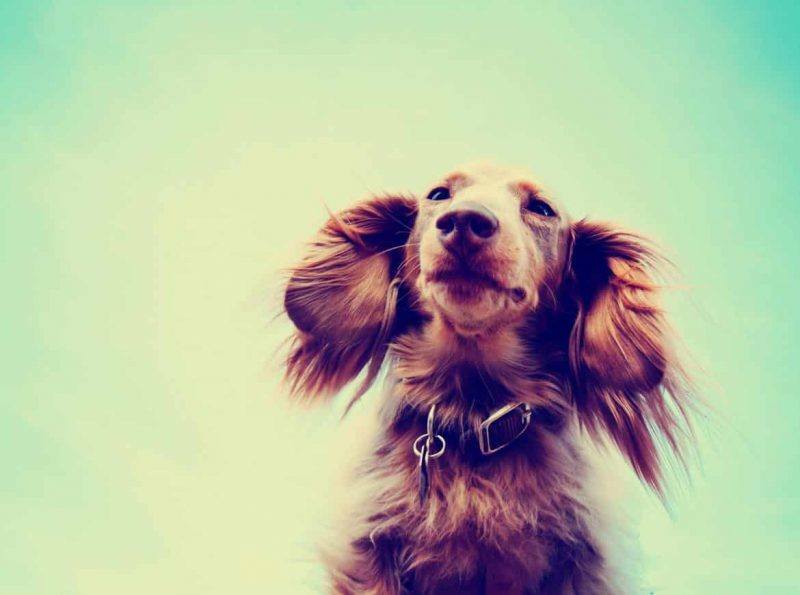 Your dog will soon find the incentive to be on their best behaviour! What are some of your concerns with socialising your puppy? Do you have any tips from personal experience? Comment and let us know. Do you have a cat? Do you love them to bits? Do you want them to have the (purr)fect life? You’ve come to the right place! Cats need lots of love and attention so that they can return the favour. Here’s a list of all the things your cat needs to have the perfect life! Here’s a list of all the things your cat needs to have the perfect life! Your cats need to be well fed so they can become big and strong. However, it’s important to know what they should eat. A healthy diet for your cat provides strong muscles, soft fur, fresh teeth and a suitable weight. Different meals work for different cats, so check with your vet what your cat should be eating and how much. It’s a well-known fact that cats sleep more than humans. They sleep about 16-20 hours a day, something that we’re envious of. Nevertheless, because they sleep so much, your kitty needs a fresh and comfy bed. It has to be the right size, and it has to been cleaned regularly so they don’t sleep in their own loose fur. It’s also important that they’re cleaned regularly for health benefits, both ours and our cats. This can be done with vacuums, brushes, or in the washing machine (check if the bed is suitable). 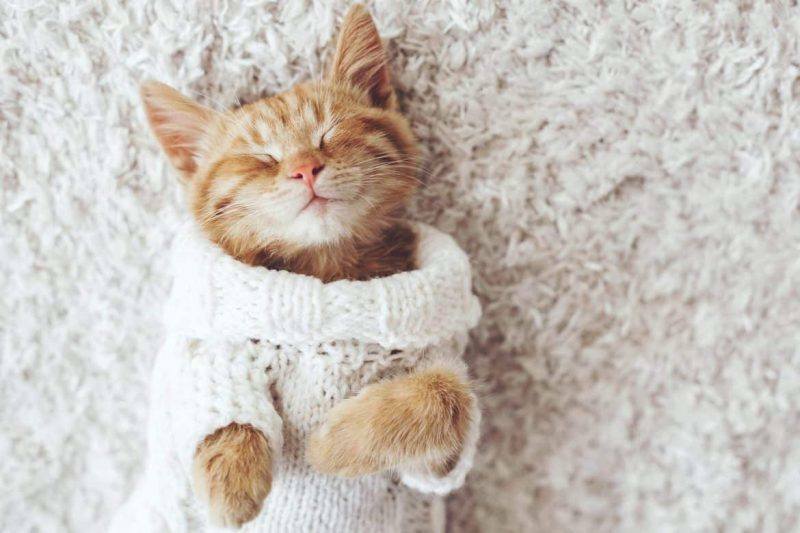 Your cat will have the best beauty sleep ever! Kitties are a playful bunch, so they’ll need some toys to play with. You can buy some toys from your local pet store, such as balls and fake mice. However, you can also make your own toys! Grab some loose string from around the house and have your cat chase it around. Or get some tin foil and roll it up into a ball for you cat to skid around your floors. Cats need their daily dose of vitamin D as much as we do. When you’re heading out for the day, let you cat outside so that they can run around or take a nap beneath the trees. Some cats can be indoor ones, so give them a small handful of biscuits to lure them out. 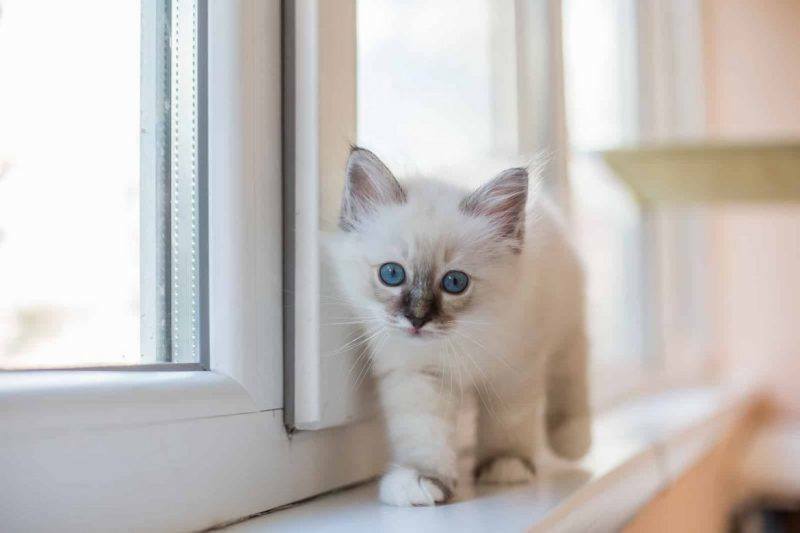 Your cat needs to be suitable to go outside too. Make sure that they’re not likely to get into fights or run away. You don’t want anything to happen to your little ball of fur! When your cat goes outside, their fur is likely to get covered with leaves, dirt and sticks. Smooth their fur down with a good brush. Have their fur soft and shiny with a regular brushing session. It will reduce the likeliness of fleas and tics as well. Your cat may not like their knots getting brushed out, and they may bite or scratch you. This is a good opportunity to clip their nails. That way their nails are healthy, and they won’t be as sharp if they should scratch you. If you’re skittish about your cat scratching you, your Vet or local pet groomer will be happy to do it for you. Last, but certainly not least, a well-hydrated kitty is a happy kitty. Your cat will need a big bowl of water to drink throughout the day. Sorry, they need SEVERAL bowls of water. Have one next to where your cat eats and sleeps, and a couple outside, in the front and back yard. Especially during the warmer months, your kitty will likely get hot and bothered quickly. After all, they are wearing a fur coat that they can’t take off. Make sure that the bowls are clean and that they’re full. Your cat will gulp down that water fast. Your cat will have the best owner ever with all these things you can provide for them. Be prepared for lots of cuddles as a reward! What are some ways you make your cat happy? Comment below and let us know! Feeling down in the dumps? Not getting enough sleep? Stressed out about that deadline? We all have bad days. It’s natural and a part of life. But sometimes it can be too much and all those negative feelings can come crushing down on you if not treated right. Different strategies work for different people, but there’s one that can always manage to brighten up your day: having a pet. Whether it be a cat, dog, rabbit, guinea pig or even a turtle, pets are proven to have a positive impact on your mental health. Read on for our top 5 reasons why pets can improve your mental health! Exercise is a very healthy and beneficial method of improving your mental health. It relieves stress, depression and anxiety, improves sleep, and increases energy. However, it’s hard to be motivated to exercise when it’s easier to do nothing. That’s where your pooch comes in. Having your dog look at you with those puppy eyes will surely help you get out of the house. Take your dog for a brisk walk around the block, through your local park, or if you’re having a good day, for a run. Make it fun by throwing or kicking a ball around at your nearby football oval. Having a pet requires you to give them constant care. They need to be fed, hydrated, cleaned up after and loved. While this may sound stressful, it can be highly beneficial. Taking care of your pet will get you into a routine that can increase your motivation and productivity. It’ll get you moving, and it’s actually pretty easy since you’re doing it all for someone you love so dearly. Plus, seeing their beaming eyes and hearing their happy meows and barks of gratitude makes it all worthwhile. Sometimes when you’re having a particularly stressful day you just need to unload on your best friend. However, there are times where you just need a listening ear. Luckily for you, your pet can’t speak. While we all wish our pets can talk so we know what we’re thinking, having them just stare at you with loving eyes can be a real life saver in times of need. Socialising is a great way to healthily express your emotions without bottling them up. Not only can socialise with your pet, but you can socialise together. You two can join your local dog training club or dog show where you two can meet new people and make new friends! If you ever feel alone and that no one understands you, your pet is the perfect cure for that. Pets can easily help decrease loneliness. They bark, purr or squeak whenever they see your face. When you play with them, they roll around affectionately or do impressive tricks to catch the ball. They make you smile, which increases serotonin and dopamine levels that help calmness and happiness levels. They are the most adorable and loving friends you can have. This is pretty easy. How can you not pet them? They’re so soft and cute. But did you know petting can increase your mental health? Stroking their fur and giving them a cuddle is proven to relieve stress. It releases hormones that help stabilize stress and anxiety levels, and it lowers your blood pressure. Not only does it have benefits for you, but it also keeps your pet relaxed, healthy and happy. This guarantees that your pet will be able to brighten up your day! Your pet is without a doubt the cutest medicine to have by your side. They will be there to help turn that frown upside down. How has your pet made you smile? Comment and let us know! Spring is FINALLY starting to come around in Melbourne (hallelujah), which means longer days, blue skies and days spent in the sun. While spring is pretty much all fun and games for us humans, unfortunately it isn’t all sunshine and butterflies for our pets. Here are five tips to make sure your pets are as happy as can be this season! While we may be starting to put away our winter jackets, our furry friends may start losing theirs. If you’ve got a dog with fur (as opposed to hair) or a longhaired cat, you might notice that they start to shed more. To help move along the process, grab a firm brush or comb and make sure to brush them daily. This will help cool down your pet and will probably lessen vacuuming time! 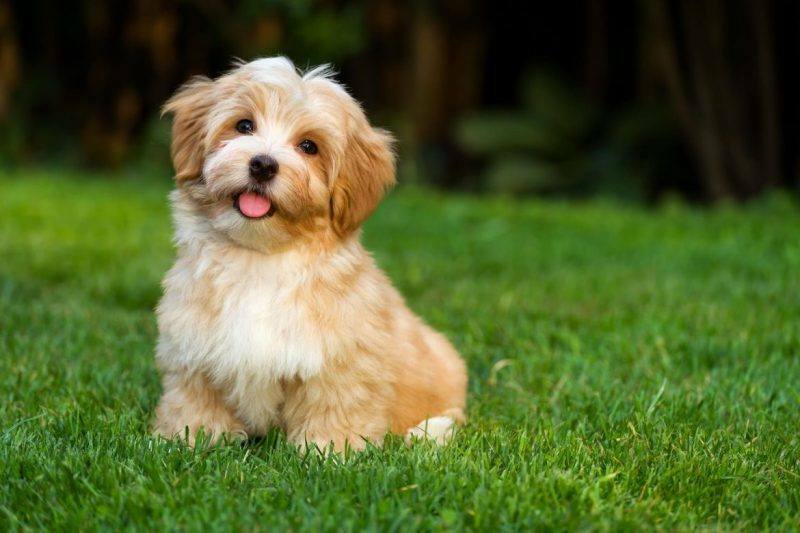 If your pup is hypoallergenic, take them to the groomers for a quick trim! Make sure you’re leaving out plenty of water for your pets to drink as the temperature starts to increase, and change it frequently. It’s super important to make sure that they’re hydrated! If your pet will tolerate it, try and give them baths on warm days to keep their body temperature down. If you’ve got a green thumb, then you’d know that the backyard could be a bit of a scary place for pets in springtime. Here are a few things to watch out for in your backyard or local parks. Snail bate/poisons: Anything you might use to get rid of unwanted pests, or weeds can be seriously toxic to our pets! If you are using any sort of pesticide, make sure it is in an area that is closed off to your fur-babies. Bee stings: Unfortunately, bees and wasps don’t discriminate and our pets are just as likely to get stung as we are! If you notice any hives developing in your area, be sure to keep an eye out on your pet as they play outside. Poisonous plants: Those gorgeous lilies or birds of paradise sprouting in your yard under the spring sun may actually be a bit of a danger for your pets! Dogs in particular can have quite a bad reaction to aloe, apricot trees and buttercups. Cats should stay away from carnations, chives and daisies. Both cats and dogs can also be highly allergic to lilies! Here is a full list of plants that may be toxic to our pets: http://www.aspca.org/pet-care/animal-poison-control/toxic-and-non-toxic-plants. We can practically see your dog or cat rolling their eyes at us from here. Yep, that’s right its time to visit the vet! Spring is a great time to check that your pet is up to date with all of their vaccinations and medication including heartworm tablets. We all know that warmer weather means that it’s mosquito season, and these little pesky bugs actually can spread heartworm so it’s vital that your pet is properly protected. 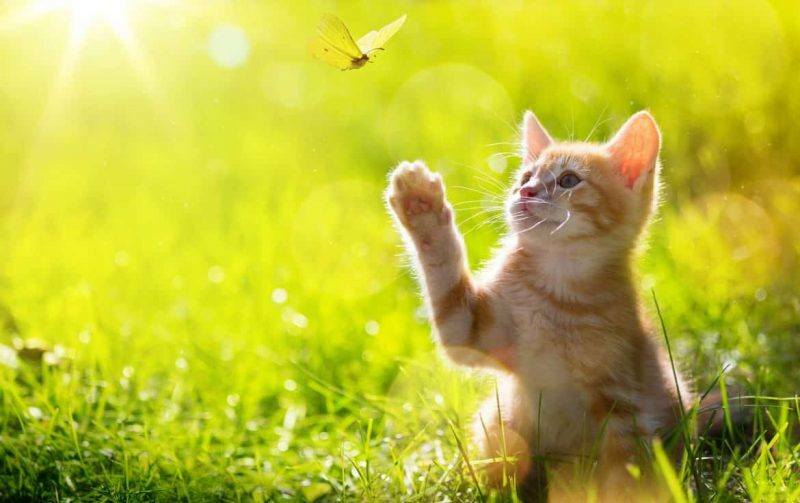 Fleas also flourish in the warmer weather; so make sure you’re on top of your flea treatments! We know it can be super tempting to get out of the house as soon as the sun starts shining, but be careful that you aren’t over-doing it. If your pets aren’t used to lots of exercise, especially after our long winter, make sure you ease into it. Like Frankie said, if you are planning on spending the day out with your pup, make sure you bring along a water bowl, and plan to spend some time relaxing in the shade to keep them cool. Pet owners are urged to keep an eye out for a potentially deadly tick which has found its way to Melbourne. Find out more in the following clip by 7 News. We spoke with Dr Andrea from Reservoir Vet Clinic to get her expert advice on the outbreak. How can pet owners avoid their pet coming into contact with the Eastern Paralysis Tick? Recent studies are showing that the Eastern Paralysis Tick is in metropolitan Melbourne- so using proven tick treatments such as Bravecto on dogs and Seresto on cats is going to help prevent tick paralysis – always follow the manufacturers instructions. What are the symptoms of a tick bite that pet owners should look out for? Unfortunately symptoms can vary a lot and can include, staggering, change of voice, vomiting, not able to eat properly, difficulty breathing, difficulty walking or not wanting to walk. If an owner suspects their pet has been bitten by a tick, what should they do? It’s important to seek veterinary assistance immediately as paralysis tick is life threatening.